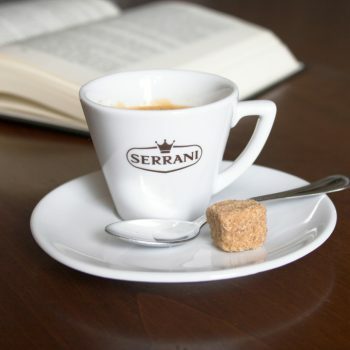 We are proud to show you true Italian espresso coffee, Espresso Serrani. 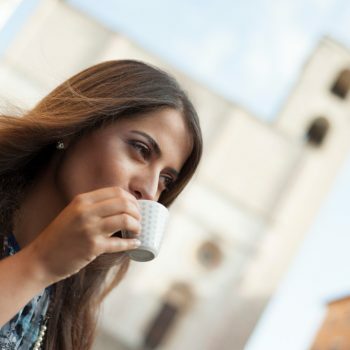 The basis for quality of any espresso coffee is the blend. 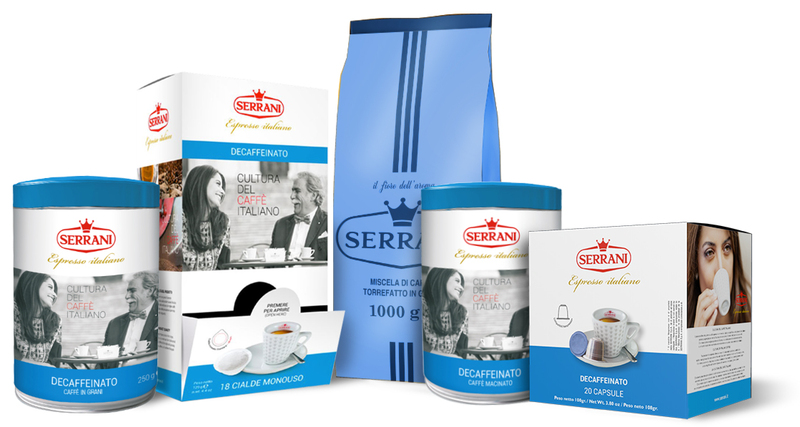 This quality, which leads to excellence, starts by selecting the best raw material, that is, the coffee bean produced by an evergreen shrub of the COFFEA genus, a member of the RUBIACEAE family. 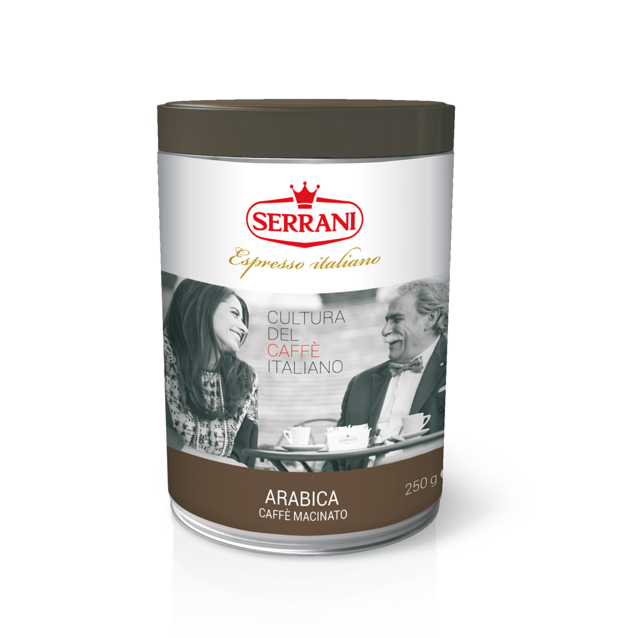 Our selection is made from the two most common varieties: ARABICA and ROBUSTA. 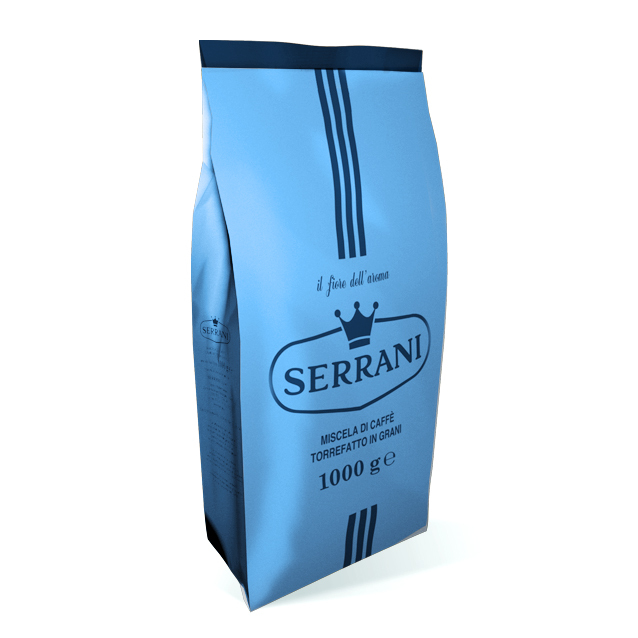 Roasted coffee, freshly ground to maintain the characteristics of authentic Italian Espresso. it is the perfect product for anyone wanting coffee shop quality at home. skillfully blended to achieve the highest level of quality aimed at satisfying the most refined palates. Persistent aroma with pleasant floral tones. dedicated to those who want all of the characteristic flavors of real Espresso Serrani decaf. Full-bodied and aromatic with a lingering aftertaste. certified organic Arabica coffee beans at the origin. highly fragrant with a lingering vanilla aftertaste. 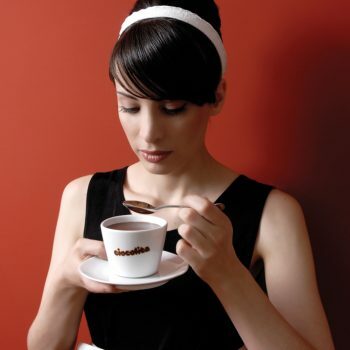 Rich and smooth with a chocolaty aftertaste, it is the perfect product for anyone wanting coffee shop quality at home. 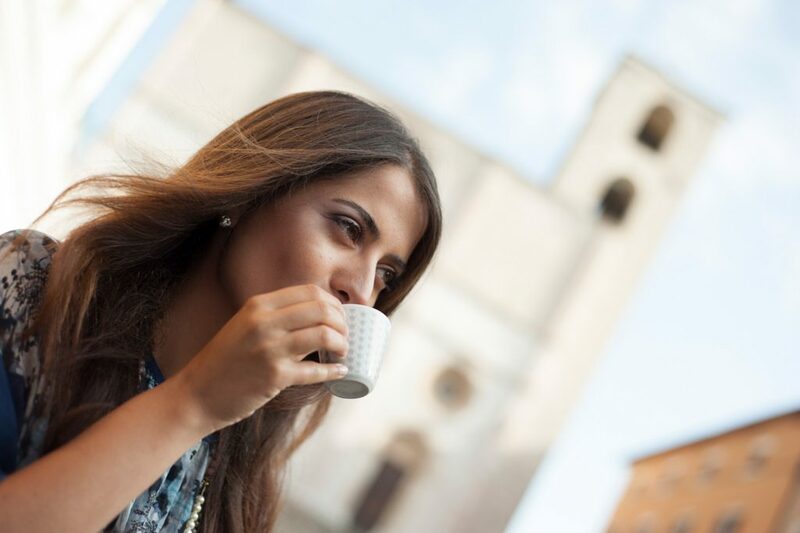 Coffee obtained by selecting the best quality Arabica beans right at the origin, skillfully blended to achieve the highest level of quality aimed at satisfying the most refined palates. Persistent aroma with pleasant floral tones. dedicated to those who want all of the characteristic flavors of real Espresso Serrani decaf. Full-bodied and aromatic with a lingering aftertaste. 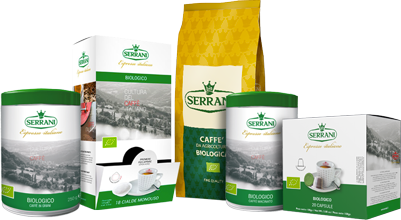 Obtained by selecting the best quality, certified organic Arabica coffee beans at the origin. Delicate, balanced flavor, very low acidity, highly fragrant with a lingering vanilla aftertaste. aimed at satisfying the most refined palates. 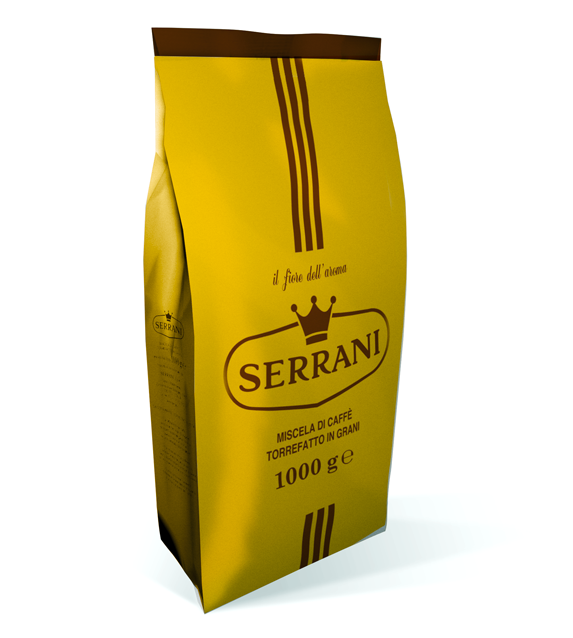 Roasted coffee, freshly ground to maintain the characteristics of authentic Italian Espresso. 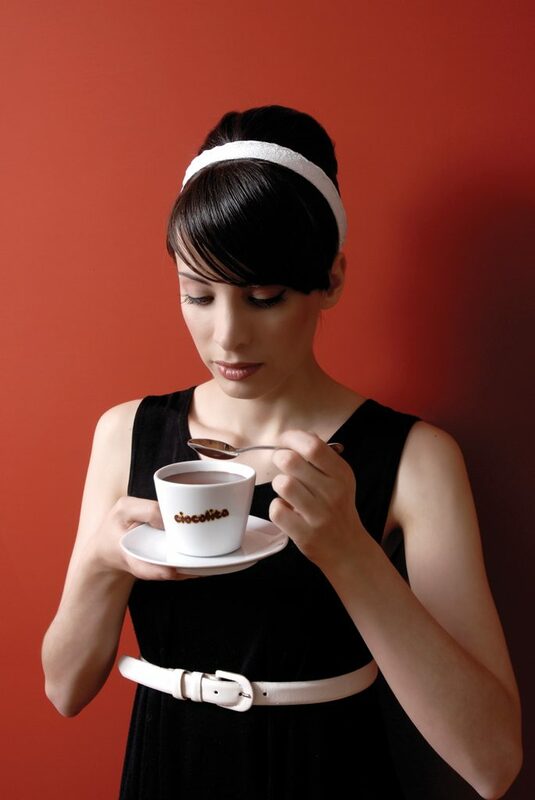 Rich and smooth with a chocolaty aftertaste, it is the perfect product for anyone wanting coffee shop quality at home. Roasted then decaffeinated using vapor and without the use of added chemicals; dedicated to those who want all of the characteristic flavors of real Espresso Serrani decaf. Full-bodied and aromatic with a lingering aftertaste. 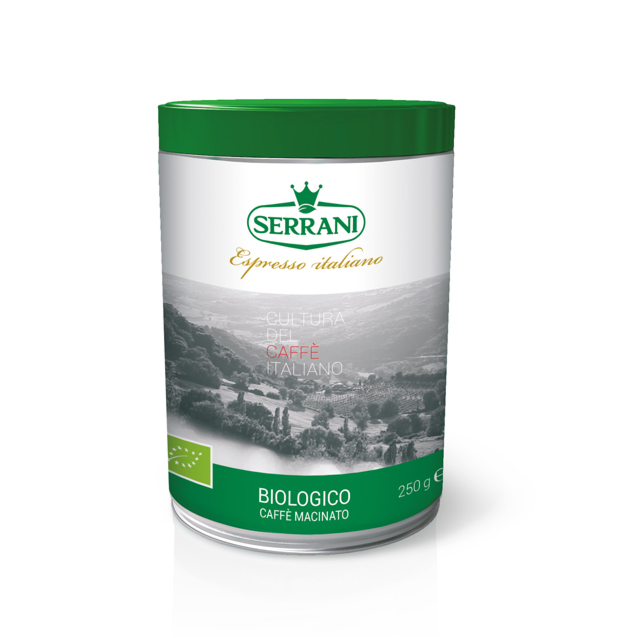 Obtained by selecting the best quality,certified organic Arabica coffee beans at the origin. Delicate, balanced flavor, very low acidity, highly fragrant with a lingering vanilla aftertaste. 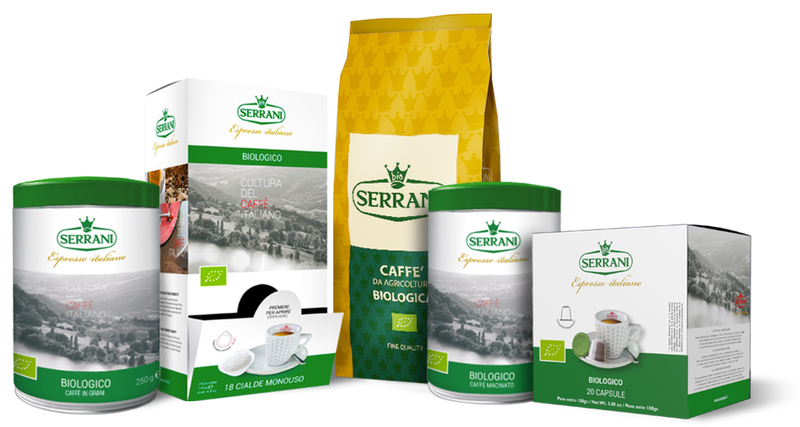 Each pod contains the selection of the best quality coffees at the origin. Afterwards, through our traditional method, we extract its typical characteristics. 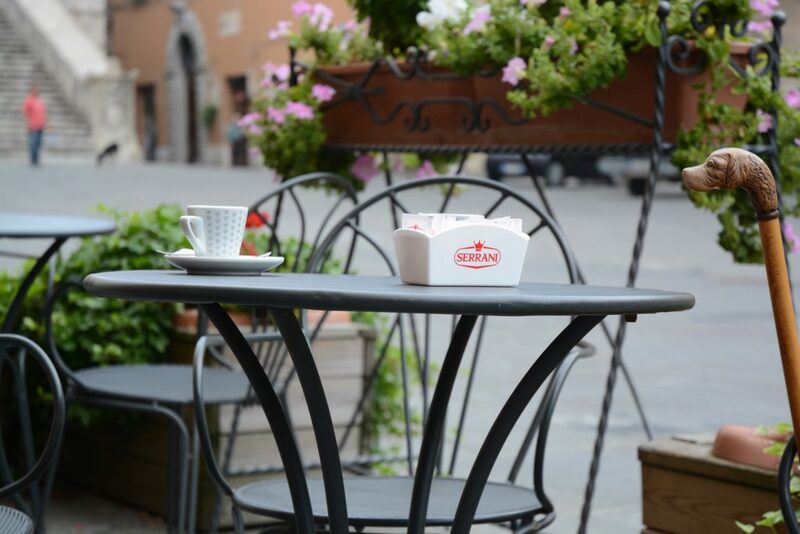 of real Italian espresso with the convenience of a pod. Creamy and smooth with a robust flavor that lingers on the palate. satisfying even the most demanding consumers. Persistent aroma with pleasant floral tones. 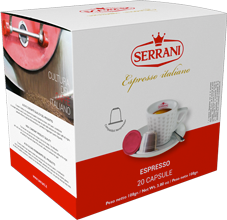 of real Espresso SERRANI in the convenience of a pod. Creamy, full-bodied and aromatic with a lingering aftertaste. 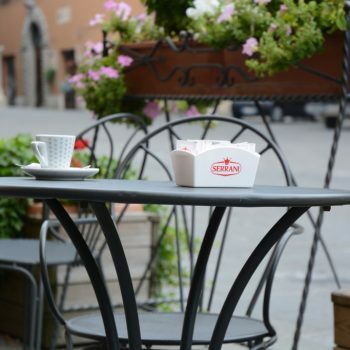 certified organic Arabica coffees at the origin. highly fragrant with intense floral notes. Each pod contains the selection of the best quality coffees at the origin. Afterwards, through our traditional method, we extract its typical characteristics. Ideal for anyone who wants to experience the flavor of real Italian espresso with the convenience of a pod. Creamy and smooth with a robust flavor that lingers on the palate. Each Pods contains the selection of the best quality Arabica coffees at the origin and artistically blending it to achieve a premium quality coffee, satisfying even the most demanding consumers. Persistent aroma with pleasant floral tones. 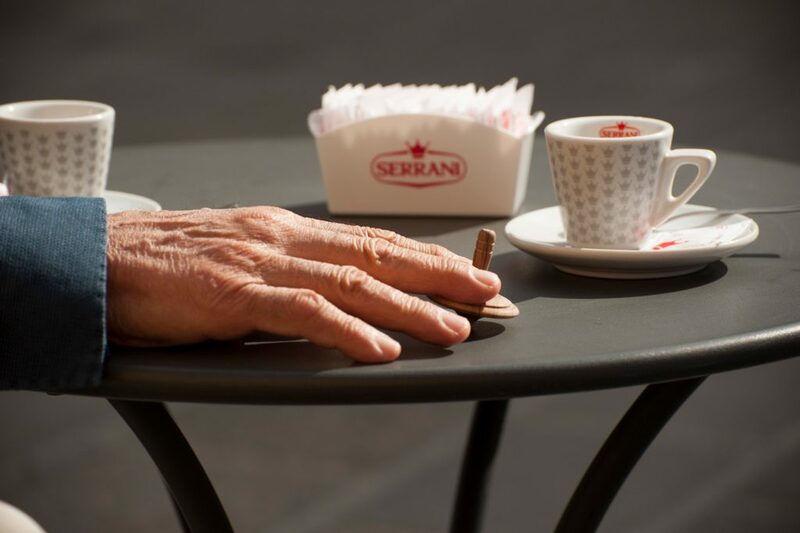 Each pod contains roasted and decaffeinated blend using vapor and without the use of added chemicals; devoted to those who want a decaf with all of the characteristic flavors of real Espresso SERRANI in the convenience of a pod. Creamy, full-bodied and aromatic with a lingering aftertaste. Each pod contains the blend selected of the best quality certified organic Arabica coffees at the origin. Delicate, balanced flavor, very low acidity, highly fragrant with intense floral notes. 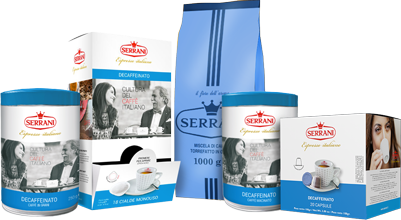 * Nespresso brand is not owned by the SERRANI S.p.A. or its partners. An elegant blend with a floral aroma and hints of vanilla and honey. marked by a pleasant smoothness. Full-bodied and creamy. with a pleasant aftertaste of caramelized sugar. and creamy with tones of tobacco. Lingers on the palate. and delicate blend with balanced acidity. Rich aroma of intense floral tones. decaffeinated using the vapor method without the use of extraneous chemical substances. An elegant blend with a floral aroma and hints of vanilla and honey. Fruity with citrus tones. Pleasantly acidic, it excites the taste buds. Magnificent texture, chocolaty with slight hints of vanilla marked by a pleasant smoothness. Full-bodied and creamy. Particularly persistent aftertaste. Distinguished by intense notes of roasted cocoa, full-bodied and creamy with a pleasant aftertaste of caramelized sugar. This blend presents hints of toasted bread; it is medium-bodied and creamy with tones of tobacco. Lingers on the palate. 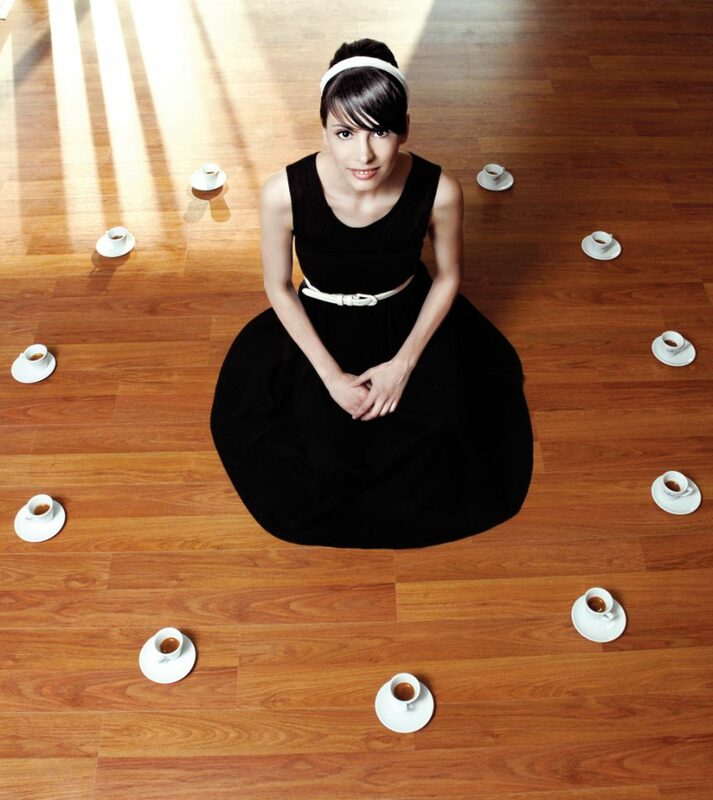 Characterized by the best Arabica beans, this is a particularly fine and delicate blend with balanced acidity. Rich aroma of intense floral tones. 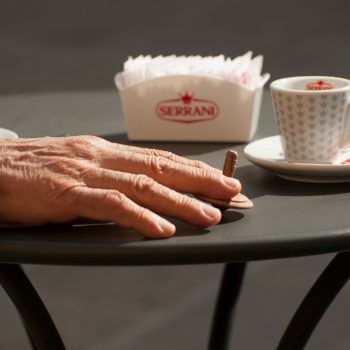 Serrani espresso without caffeine. Fragrant, aromatic, chocolaty and full-bodied; decaffeinated using the vapor method without the use of extraneous chemic. with a pleasant fragrance of caramelized sugar and tobacco. Creamy and full-bodied. with an aftertaste reminiscent of tobacco and exotic wood. Lingers pleasantly on the palate. 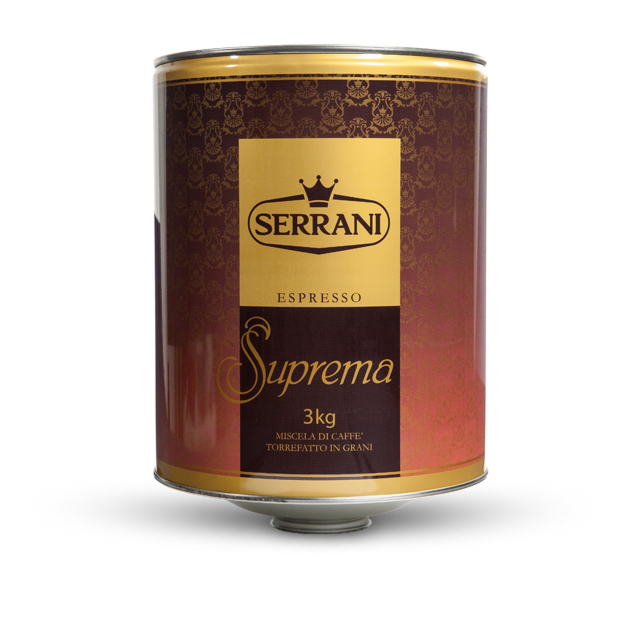 Typical Italian espresso—balanced, aromatic and chocolaty with a pleasant fragrance of caramelized sugar and tobacco. Creamy and full-bodied. Coffee blend with excellent texture. Full-bodied and creamy with an aftertaste reminiscent of tobacco and exotic wood. Lingers pleasantly on the palate. The world of organic coffee in all its various forms. 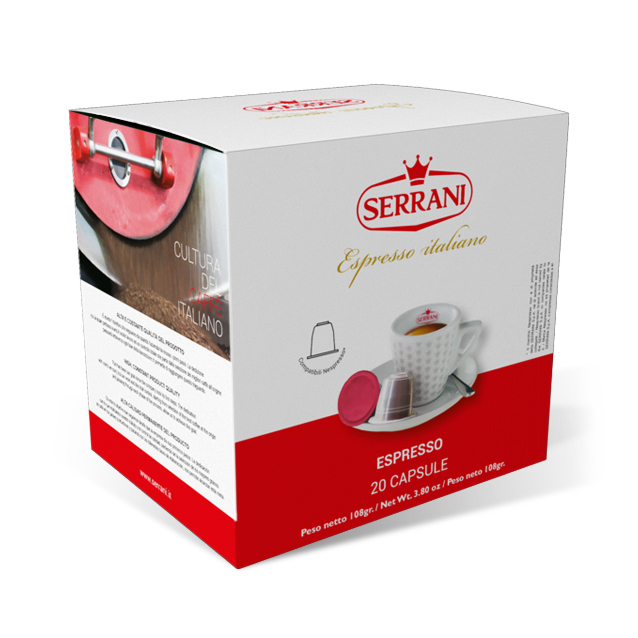 with all of the typical features of espresso Serrani. paper pods and Nespresso compatible capsules. The world of organic coffee in all its various forms. 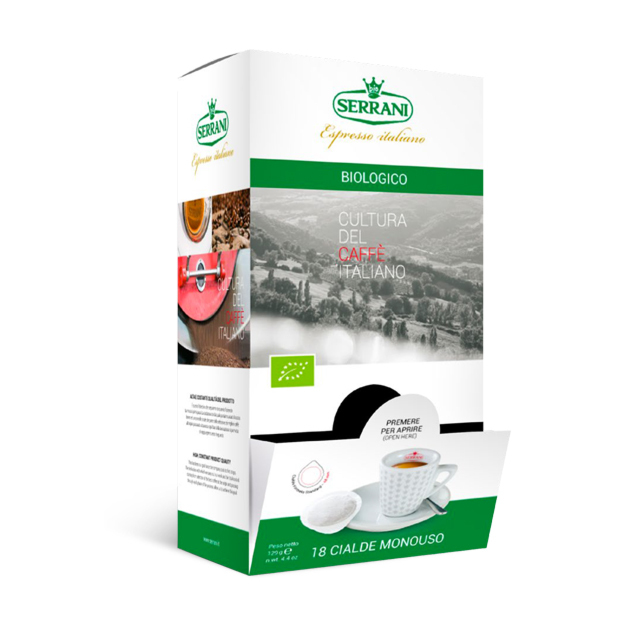 A blend made by selecting the best quality, certified origin Arabica coffee at the source, roasting it with our traditional method and cooling in the open air until to the skillful blended in order to obtain an organic product with all of the typical features of espresso Serrani. Fragrant, aromatic, chocolaty. 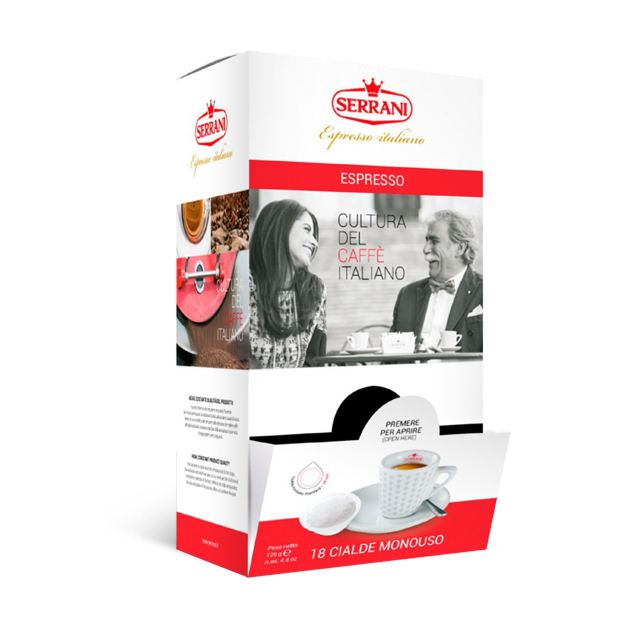 The decaffeinated Serrani coffee line is a complete customize range of products: single-serving decaf, whole beans, ground, paper pods and Nespresso compatible capsules. 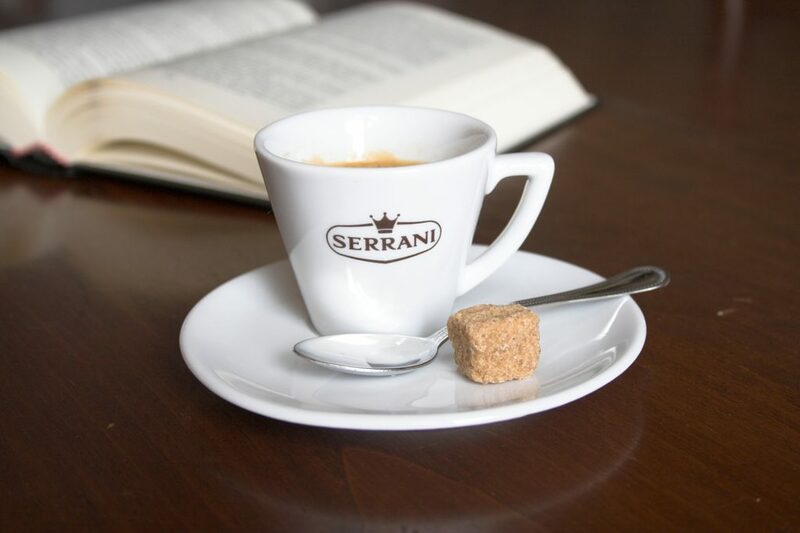 The pleasure of decaffeinated coffee without giving up the robust flavor of true espresso Serrani. 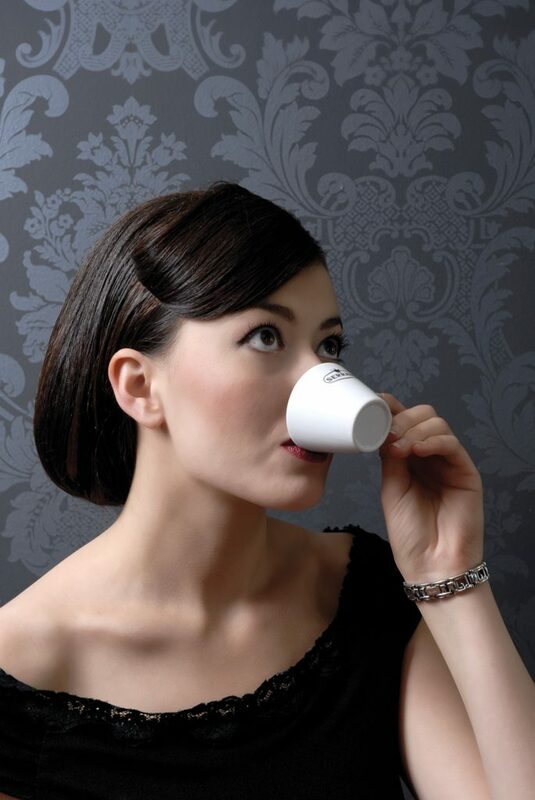 Roasted ground decaffeinated blend using vapor, without the use of added chemicals. Packaged in single-serving sachets for use with professional espresso machines. 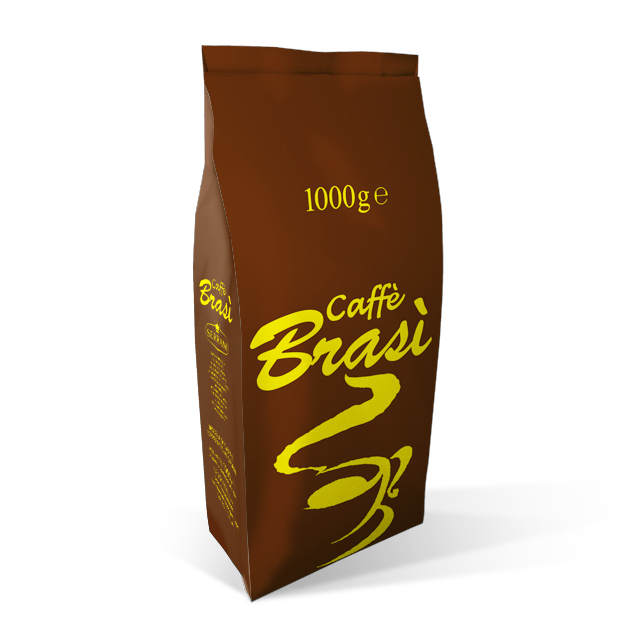 Roasted ground barley packaged in paper pods for use with professional espresso machines. Made from carefully chosen, high quality raw materials. 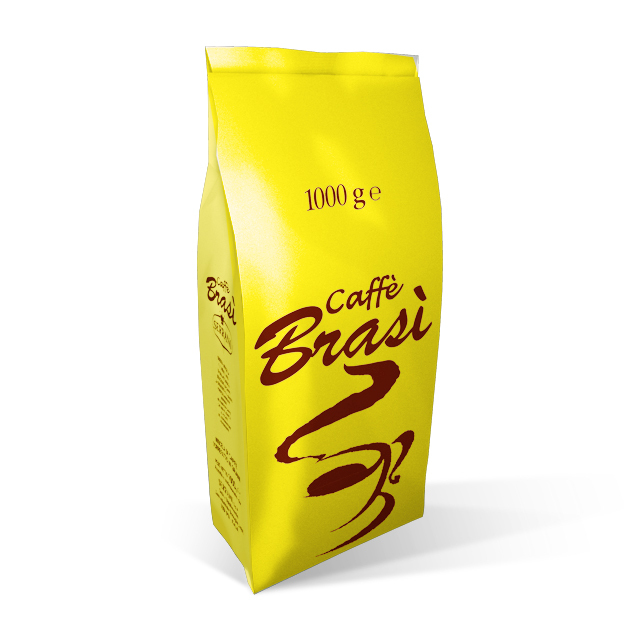 Smooth and intense aroma, ideally served in a large cup with a bit of lemon peel. 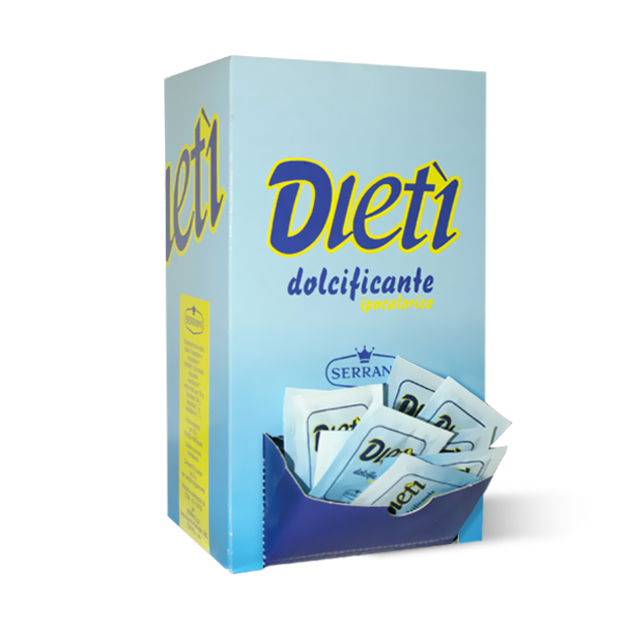 Our low-calorie sweetener; each box contains 210 packets. 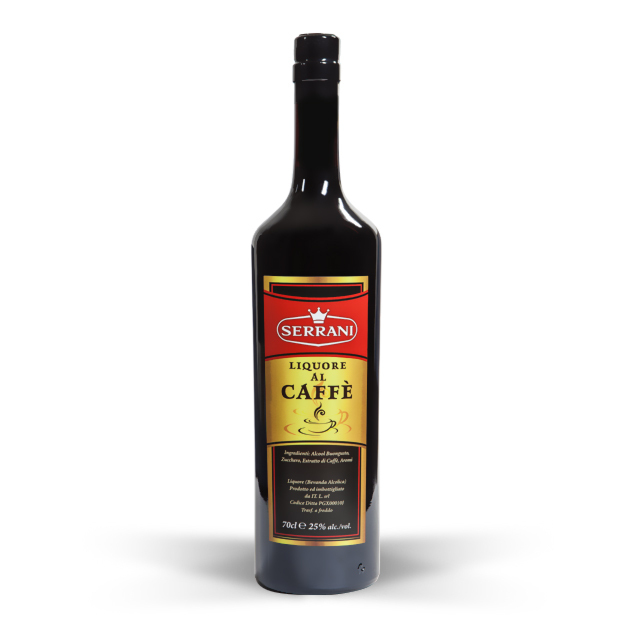 Serrani coffee liqueur is made from real Serrani espresso. Roasted ground decaffeinated blend using vapor, without the use of added chemicals. 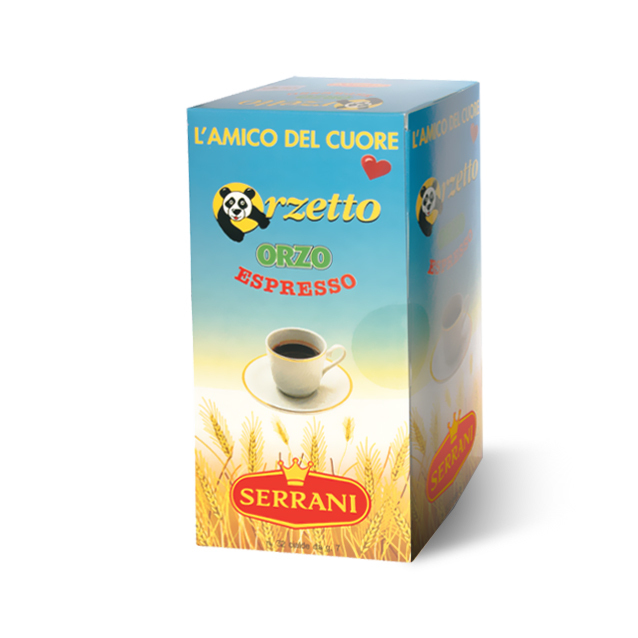 Packaged in single-serving sachets for use with professional espresso machines. 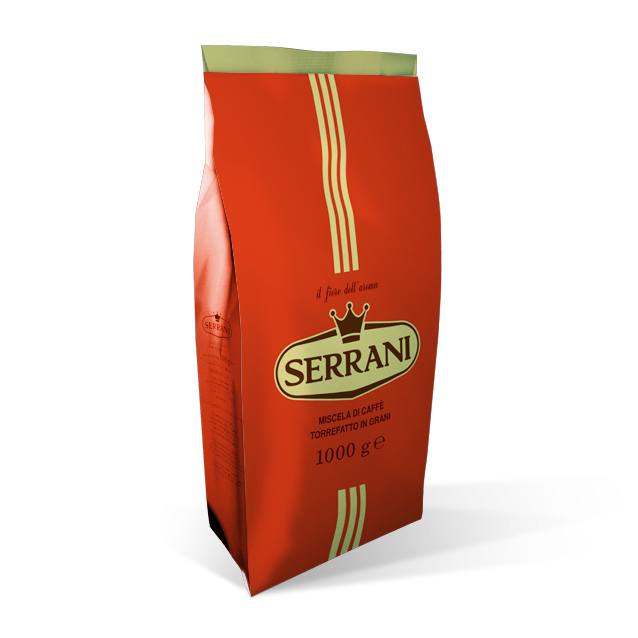 Roasted ground barley packaged in paper pods for use with professional espresso machines. Made from carefully chosen, high quality raw materials. 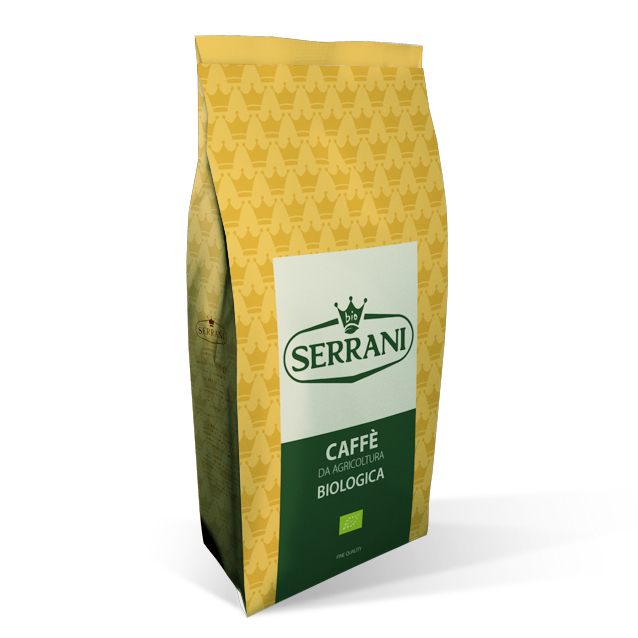 Smooth and intense aroma, ideally served in a large cup with a bit of lemon peel. 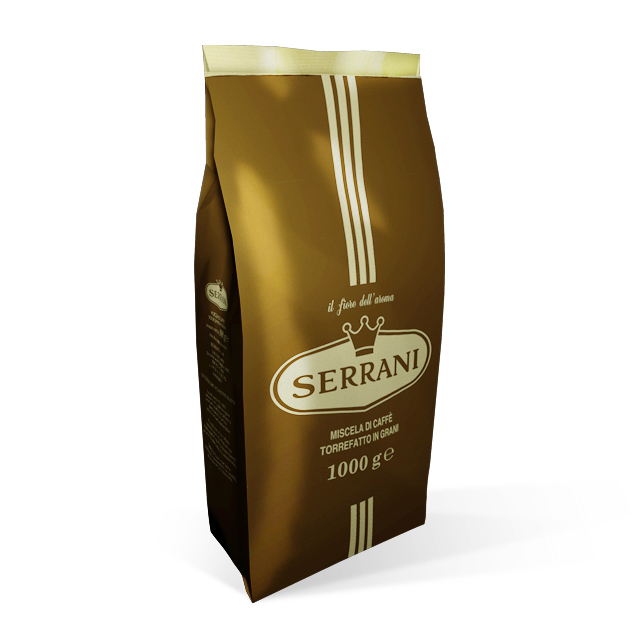 Inspired by our taste for the finer things in life, Serrani coffee liqueur is made from real Serrani espresso. Ideal for coffee-based recipes with a hint of alcohol. Excellent as a digestive.